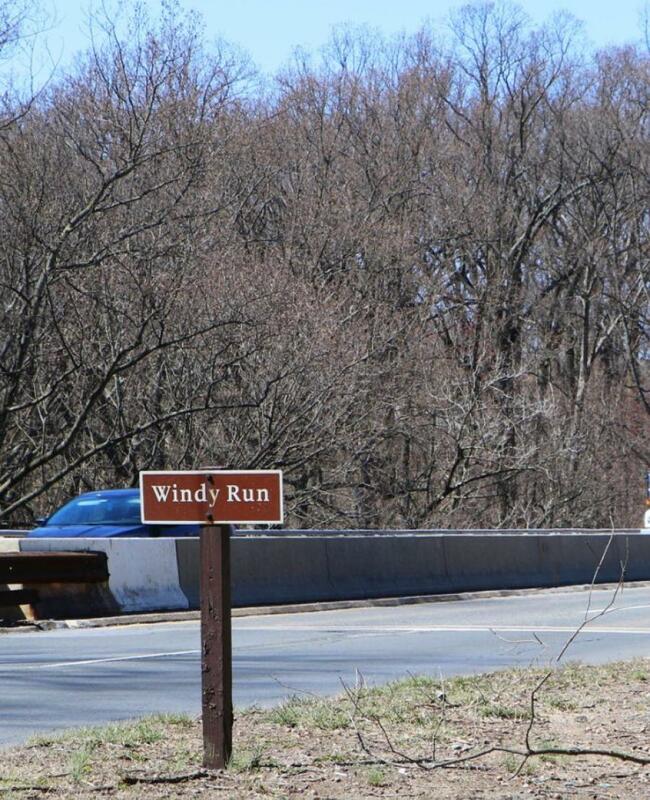 The National Park Service is about to begin repairs to the road deck and support structure of the bridge over Windy Run on the George Washington Memorial Parkway. The work is scheduled to take place between June and September to reduce the number of people it will inconvenience, but drivers should prepare for delays and changes to the normal traffic pattern. Noticeable construction work will begin June 11. To start, crews will remove the guardrails and center curbs; install temporary lane dividers; and pave the median to facilitate dynamic lane changes during construction. This work will require intermittent, off-peak, lane closures on the George Washington Memorial Parkway. shift travel lanes using a center, reversible lane, to accommodate rush-hour traffic. There will always be one southbound lane and one northbound lane open. The third lane will be reversible to accommodate morning and evening rush hours. The reversible lane will run northbound from noon to 8 p.m. and southbound from 8 p.m. to noon. On Saturday and Sunday two lanes will always run southbound and one lane will run northbound. U.S. Park Police officers will temporarily stop traffic to facilitate a safe shift in traffic flow. Drivers should exercise extreme caution and expect to see U.S. Park Police officers and construction workers in the road 30 minutes before and after the scheduled times for traffic shifts. Windy Run Bridge is about 2 mi. south of Route 123, 7 mi. south of Interstate 495 and about 1 mi. north of Spout Run Parkway. This project will extend the life of the bridge by 15 years and help address issues with recurring potholes and sinkholes at the edges of the bridge. The National Park Service also is planning for a full rehabilitation of the entire north section of the George Washington Memorial Parkway from Spout Run to Interstate 495. We will be accepting public comments on the rehabilitation plan and environmental assessment for 30 days later this summer. To learn more about that project, visit parkplanning.nps.gov/projectHome.cfm?projectId=65603. Designed as a scenic roadway and memorial to the first president of the United States, today the George Washington Memorial Parkway is used by more than 33 million vehicles per year. Most of that traffic is on the northern section of the parkway. For more information, visit go.nps.gov/WindyRun.